Masters of Dis-Gas? – scam callers masquerading as UK energy providers! The scam under discussion this week is a convincing one – so convincing, in fact, that they almost had us fooled. Let’s take a look at the evidence. The caller claims to be from British Gas, calling for an array of reasons – paying your overdue bill, arranging a maintenance visit, etc. etc – and from more than one number. The area code indicates that the calls are coming from Leeds. When I answered, it was a recorded message: press any number for an important message about my bill. I didn’t press anything and it went on to say that my gas meter reading was due within the next week. British Gas email me about meter readings and this is about a month too early! Be wary! Have had more than 10 calls from this number about non-payment of my latest bill… mighty strange as i have never given them my mobile number and left British Gas several years ago. People who have never even been with British Gas also seem to receive calls from this number. Indeed, one user living in a remote village where British Gas is not actually available was contacted. The sleuthier among you have attempted to call the number back, only to find that lo and behold, the number is not recognised. This is where it gets confusing. Whilst some of you have also cleverly given British Gas a ring directly to ask what’s going on, some of you report being told that this number belongs to an offshore service of theirs, whilst others were told that it isn’t! What to believe? The search service did not seem to recognise 01132989000 or 01132989890 as belonging to British Gas, which is suspicious in itself. Some of your experiences with this caller further indicate that this is a number to be wary of: one call started with the caller asking to speak to the ‘laptop owner’ and a receptionist from a doctor’s surgery also reports being hounded by this number on the surgery line. We’re dubious about this one. If you get a call from this number, or any other unrecognised number claiming to be British Gas, we strongly advise using the link above, or contacting British Gas directly. Under no circumstances should you give your bank details out unless you are absolutely certain of a caller’s identity! Keep your wits about you and have a great week! This entry was posted in Knowledge and tagged claims company, personal information, scam method, spam numbers, tellows, weekly on Wednesday October 23rd, 2013 by ellen. A research initiated by the Office of Communications (Ofcom) reveals the truth about unsolicited nuisance calls in the UK and thus calls for action to solve to problem of far too many cold calls. Within a period of four weeks 850 consumers were asked to keep a diary of all cold calls they receive. The Ofcom research revealed that 80 percent of the participants received unwanted calls regularly, on an average even more than twice a week. Especially calls on PPI reclaim (Payment Protection Insurance) were the most annoying and yet also the most often ones. While at least one out of four people got called more than 10 times, most calls came from PPI claim companies as well as from market research firms. In terms of the survey findings the Citizens Advice called for a complete ban on cold calling. Not only because more than one third of all complaints from companies are related to cold calls. Mostly firms dealing with financial services use cold and silent calls and thereby demanding upfront fees or trying to sell unprofitable offers, cheating people out of their pension. Furthermore the companies get personal data through the nuisance calls, mostly unbeknown and unauthorised by the individuals. A ban would help to make cold calls clearly identifiable as illegal. Citizens Advice recommends the banning of credit brokers and claims management companies as well as of pension unlocking services. Ofcom follows a different strategy though. Not the banning but a wide investigation into claims management companies making the cold calls is needed. Thereby not only the big companies will be in the focus of enforcement actions, also smaller companies are responsible for the nuisance calls to a large extent and should be overseen. Ofcom is now promoting wider investigation and action regarding cold calls, especially dealing with claims. Thereby they focus on silent calls as well, which are done by the company’s telephone systems automatically without even having a staff member conducting the calls. The government as well as other regulators and institutions are called upon to take action more effectively. Ofcom already imposed penalties for silent and abandoned calls done by major firms as TalkTalk. Furthermore the ICO supports the attempts of Ofcom by pointing out the regulations and industry rules to over 170 marketing companies. Nevertheless householders can get active themselves. By signing up for the free Telephone Preference Service (TPS) individuals can stop nuisance calls on the purpose of marketing and sales. However, as we already mentioned in our last article, it is extremely hard to block most of the calls, as they often come from overseas call centres. Not more than one third of all abandoned calls can be cut out. For further improvement Ofcom is currently collaborating with the ICO and the Ministry of Justice for more effective actions. 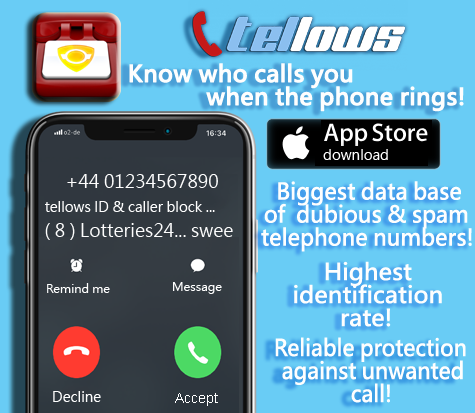 We will keep you informed about upcoming achievements in the struggle against nuisance calls in our blog on tellows UK. This entry was posted in Knowledge and tagged claims company, cold calls, ICO, methods of fraud, nuisance calls, Ofcom, personal information, PPI, scam, scam method, spam numbers, study, telephone numbers, tellows, tellows.co.uk, TPS on Tuesday May 28th, 2013 by Marianne. The usage of nuisance calls is one of the most annoying marketing strategies nowadays, its benefits are highly controversial and justifiably so. Nevertheless dozens of companies call and message their customers as well as total strangers every day. 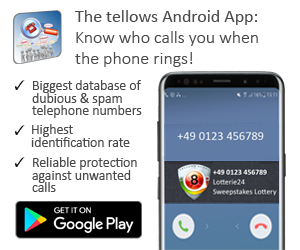 While the tellows community offers fruitful hints about the source of certain telephone numbers, we now would like to provide you with useful information regarding your right to data privacy as well. Especially the regulations on personal data and its use are rigorous and actually promote benefits for all of us. But for a successful fight against scam and spam calls you need to know and defend your rights. The following information will give you a broad knowledge on data security, mainly based on laws and regulations valid in UK. Some institutions were specially built for the protection of our data. The DPA is one of the most important pieces of legislation when it comes to data protection in the UK. The DPA was enacted to be in line with the data protection directive in the EU, which should guarantee protection of people’s right to privacy, especially concerning the processing of personal data. As it aims to safeguard consumer rights regarding personal data, the 1998 DPA also guarantees self-control over personal information and the right to privacy. It determines that any collection or use of personal date requires consent of the individuals concerned. Furthermore, all organisations processing this kind of data need to comply with the regulations of the Act and need to be registered at the Information Commissioner’s Office (ICO) as well. It also vests all individuals with the authority to get access to their stored data by any organisation. The EC Directive, known as the E-Privacy Directive is a continuation of the DPA on data protection. It enables criminal proceedings through fines up to £500,000 for the unauthorised use of recorded messages for marketing purposes. The impact of the EC Directive also includes phone calls, emails and SMS messages. Thereby it provides the legal basis for consumer protection especially in the case of direct marketing and has been amended several times. As mentioned before, the ICO is the authority for upholding consumer rights as well as data protection in the UK. The enforcement of both presented regulations is controlled by the ICO, who has multiple tools for opposing misuse of personal data. There are not only possibilities of monetary penalty, the ICO is also entitled to audit and prosecute anyone disregarding the DPA or the EC Directive. Every call or message as marketing measure needs to be consented by the individual to be permitted. In any case marketers need to provide a possibility to opt out any following messages or calls to meet the legal regulations. If this is disregarded, those responsible also disregard the regulations and thereby are liable to prosecution. Thus, consulting the ICO is everyone’s right. When there is violation of rights, the ICO takes action to ensure a proper handling of personal information and also enables individuals to detect the information held about them. Next to these legal institutions and laws consumers have the possibility to use the TPS. This central register enables people to opt out from receiving unsolicited nuisance calls. As described before, organisations have to respect the request of individuals not to be approached if listed in the TPS. The free registration can be done by any individual for a certain number (mobile phone numbers as well) and takes full effect after approx. 28 days. The TPS offers a complaint system as well. Although the TPS is not allowed to take any action of enforcement, they regularly send updates about the incoming complaints to the ICO as the body responsible. This strongly supports their investigations. While reliable companies accept the TPS entries as it is a legal requirement, it is quite easy for organisations working outside of the UK to circumvent the regulations. Through Caller ID spoofing, which allows deceptive organisations to display a number that is not the original one. Although this is obviously illegal, the ICO’s and TPS’s authority is not effective outside the UK. Unfortunately a TPS registration does also not prevent calls on the purpose of legit market research. Also the receipt of marketing text messages is not under the control of TPS. To stop receiving SMS messages you have to send a request to the company yourself, a simple „STOP“ message is enough though. The Ofcom has an even broader scope. As it is a regulatory and competition authority approved by the government, it represents the interest of UK citizens regarding competition and protection for broadcasting, telecommunications and postal industries. 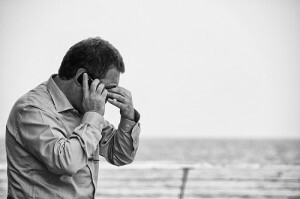 Thereby the Ofcom also deals with problems of nuisance calls and offers particular guidelines for several situations. All of the presented regulations and authorities can help you taking care of annoying, even malicious phone calls and messages. In some cases however it might be advisable to consult a lawyer to advice you for further legal steps if necessary. This entry was posted in Knowledge and tagged annoying, DPA, ICO, methods of fraud, nuisance calls, Ofcom, scam method, scam numbers, spam numbers, telephone numbers, tellows, tellows.co.uk on Monday May 27th, 2013 by Marianne. Mobile phone fraud involves a variety of scams that either persuade you to buy phone-related products/services that turn out to be non-existent or to make phone calls or texts to premium services by accident or to unknowingly sign up to expensive subscription services. And each year millions of the UK consumers fall victim to mobile phone frauds. There is one group of people who are more likely to become a victim of a scam – students! Students are using their mobile phones almost 24 h a day and they are open to communication with the world. Those might be the reasons for the latest frauds in the UK, when students were victims. Last fall college students have been left in thousands of pounds of debt after becoming involved in a mobile phone contract scam. A fraud has made young people sign up for numerous expensive mobile phone deals on the promise they will not be required to fulfil them. Young people from Preston College have taken out mobile phone contracts which they hand over to a fraudster, who promised to cancel the contracts. But instead he shipped them abroad to places like India and Pakistan leaving students facing bills for more than £2,000 each. Some of them were paid a fee for their work, while others were probably conned into the belief taking mobile phones would “improve their credit rating.” Police have today revealed frauds – criminals from Blackburn. This is one of the numbers that pretends to be from the UKBA to fool international students in the UK and tell them there is something wrong with their imigration application. They have parts of your data (maybe name, zip-code etc.) and they try to get ALL of your information plus your credit card details. Do not give that information! In 2012 BBC informed that in nine months viruses that steal cash have jumped from 29% of mobile malware to 62% . Mobile security firm Lookout said viruses were getting on to phones via booby-trapped apps and through adverts and webpages harbouring malware. Those viruses added charges to a user’s bill to cash in. Fraudsters inserted a virus called “NotCompatible”. Such a virus might be used to artificially inflate the popularity of an advert, a song on a music website to help generate a larger return for criminals. Be careful people. This guy puts fakes adds on gumtree. But is a scam. Trust me. This guy is a scammer. People are being tricked into signing up, often by typing in their mobile number online, for services they actually don’t want. Messages are then sent out which can cost users up to £4.50 per text to receive. Unless people keep a close eye on their mobile phone bills those charges can add up very quickly. For example, twenty-four-year-old Beth Coundley from Chichester got caught out after receiving around five texts a month for five months. In total she was charged around £130 despite insisting she never signed up for any services. And those are just few examples of this huge problem. To protect yourself it is better not to respond to unknown numbers, to reply to text messages from someone you don’t know, to reply to any text that claims you won money. We have to remember it is not possible to win money without entering a competition. Taking into consideration the amount of phone frauds, the UK government is doing everything possible to protect their citizens. There are advices how to protect yourself and your money in the internet, also everybody who becomes victims can make a fraud information report on webpage of Tellows. Police and National Fraud Authority are working together to fight this fight. Unfortunately, the development of technologies guarantees the development of fraudsters’ imagination. This entry was posted in Knowledge and tagged annoying, app, fraud, insurance scam, international students, mobile phone numbers, scam, scam method, scam numbers, students, tellows on Wednesday April 10th, 2013 by Kristine.